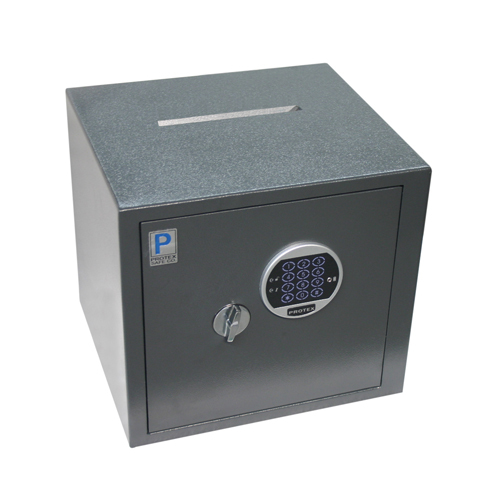 This single-compartment depository safe offers a great choice for any business or organization that needs to hold a collection of deposited cash, checks, and valuables while also securing operating cash (such as hotels, bars, restaurants, gas stations, and convenience stores). Heavy enough to deter burglars (and can be drill-mounted into the floor), yet still maneuverable and easy to move. Please call to confirm orders of more than 10 of these safes at one time.